Thsi is the feeder I use to feed my birds it works great and is easy to use, this item has 2 layers of screen and is made out of durable cedar and screwed together. 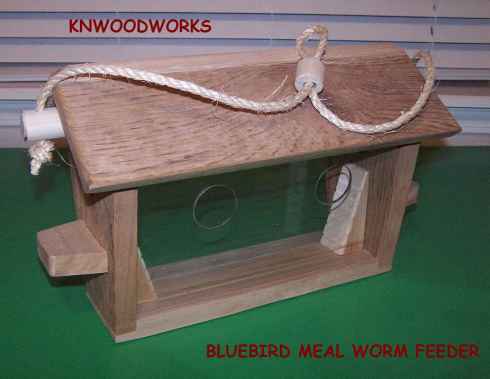 This is a bluebird meal worm feeder, item is made out of 3/4 inch cedar, windows are 1/8 inch plexiglass with 2 holes on each side tilted at a downword angle to reflect the ground, roof is removable for easy cleanout,birdladders on inside for easy exit with the younger birds,this item is fastened together with screws,glue and brads. This is a hanging bird feeder, center hole is 3 1/4" round,food is held in place with two push in nails,you can use bread or fruit or even odd food scraps, it is made out of durable red cedar and is screwed and glued together. 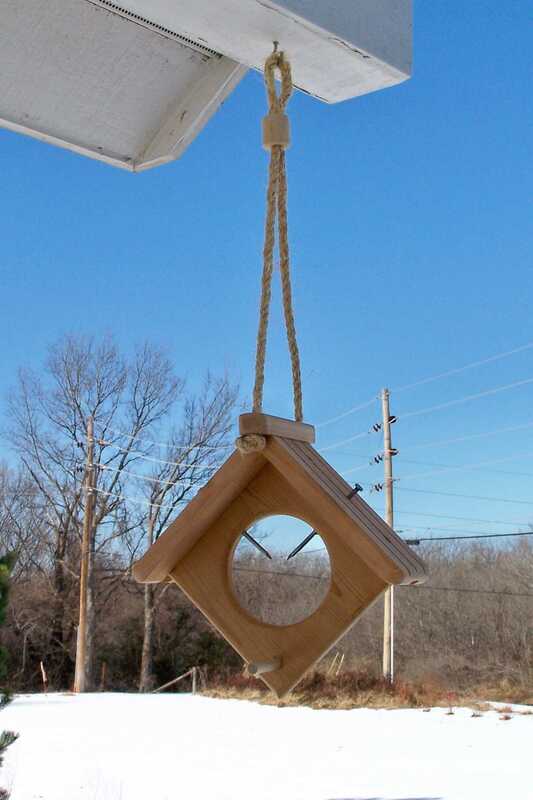 This is a hanging suet cake feeder made out of 3/4" red cedar.